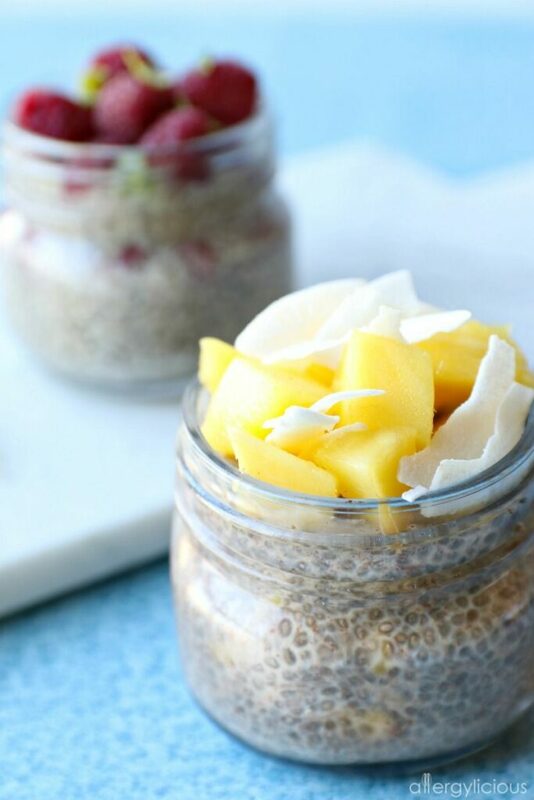 Brain-boosting omega, protein & fiber make this chia seed pudding a great breakfast option or a naturally sweet treat. A healthy breakfast can be as simple or as elaborate as you like, from a quick grab-n-go meal like Chia Seed Pudding or a sit-down & Savory Potato Breakfast Bowl. Regardless of which option you choose, it is always best to start your day off with a nutritious start…. easier said than done, right? 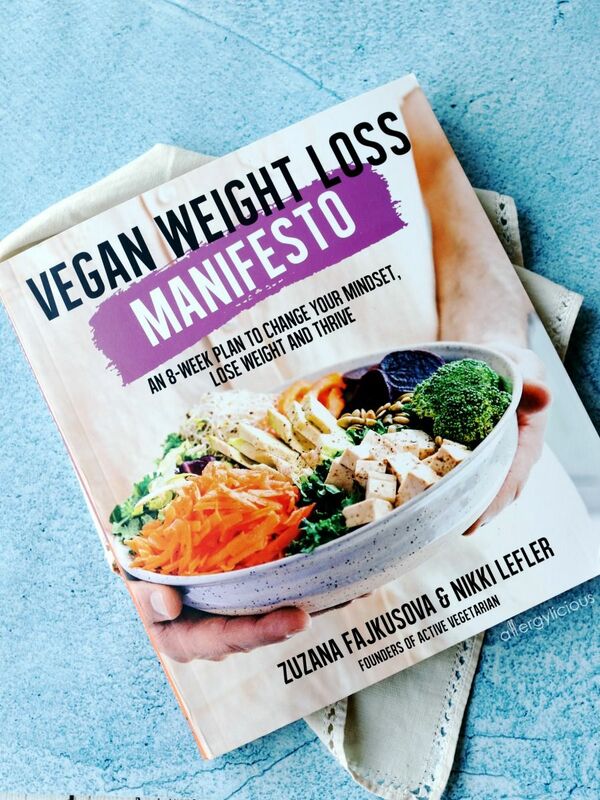 That is why I’m sharing this amazing new book called Vegan Weight Loss Manifesto by Zuzana Fajkusova & Nikki Lefler. This book is the answer to anyone (vegan or not) that wants to get healthy or healthier. If you are curious about a plant-based diet, just wanting to eat more vegetables or ready to jump in and embrace a healthy lifestyle, this book is for YOU! Vegan Weight Loss Manifesto is not just a diet book or cookbook filled with salads and chia seed pudding recipes, it’s an “8-week plan to change your mindset, lose weight and thrive.” Zuzana and Nikki take what they’ve learned as Personal Wellness Coaches and have placed it all in 1 book, to inspire others to live a healthy, active, plant-based lifestyle and this book explains exactly how. 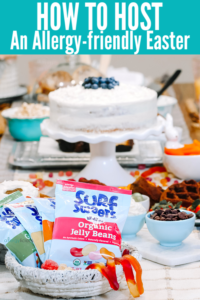 Because this book is more than just a cookbook, you’ll find everything from foods to eat and avoid, daily fitness activities, detailed grocery lists and lots of expert guidance and nutrition tips. PLUS, for anyone who buys this book, you also have access to online coaching through the client-only section of their website, ActiveVegetarian.com. That’s pretty amazing! Do you know what else is pretty amazing? 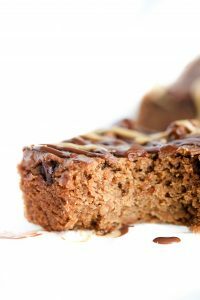 The amount of truly beautiful & delicious recipes included in Vegan Weight Loss Manifesto. From breakfast (like this chia seed pudding) to dinner, with plenty of “indulgences” along the way, all recipes are plant-based, using only real, whole-food ingredients. Just flipping through the pages of this book, I’m finding so many recipes to try. The Ultimate Vegan Breakfast Sandwich, Hummus Soup, or Epic Brownies (using GF flour instead of almond flour) are just a hint of what you’ll find waiting for you! So now to the best part, this chia seed pudding recipe! The chia seed base is packed with omega-3 fatty acids, protein, fiber and minerals to deliver long lasting nourishment. But the tropical, refreshing & fruity flavors will leave you satisfied for hours! 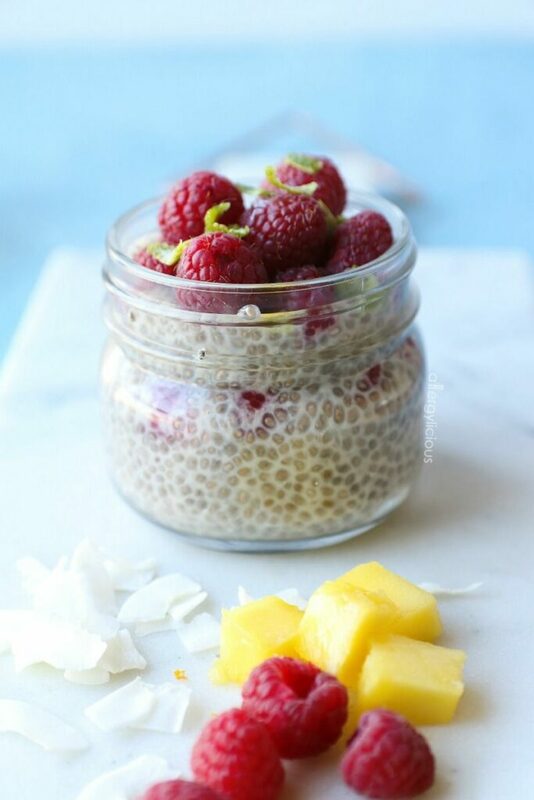 Velvety smooth chia seed pudding with a tropical twist! Choose from fresh raspberries and lime or choose coconut mango with swirls of cinnamon and cardamom. Either choice will provide you with a delicious, protein-rich snack, dessert or breakfast. Mix the 2 ingredients until well combined. Cover with a plate and allow the mixture to sit 20 minutes or overnight. In the morning, stir the chia pudding carefully. If it’s too thin, add in more chia seeds, 1 TB at a time to thicken. If too thick, add in more milk, 1 TB at a time. Mix the chia pudding base with the maple syrup, lime juice and vanilla. 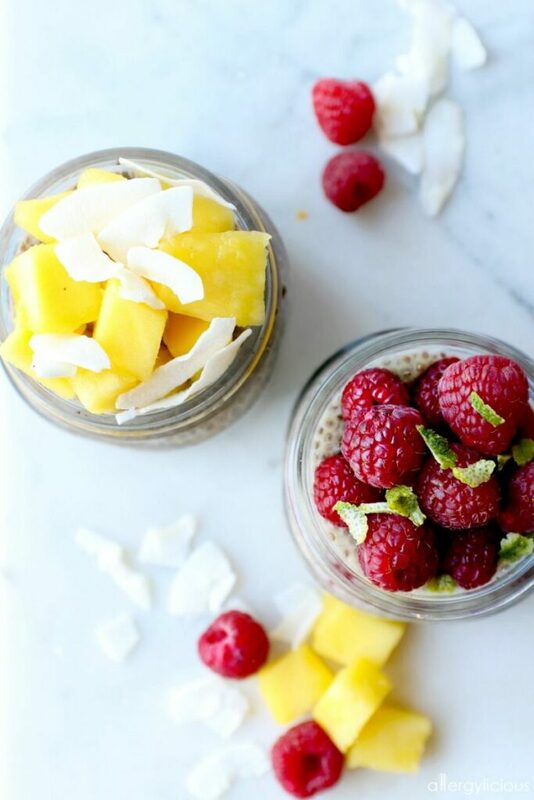 In 2 jars, layer the chia pudding and raspberries, Garnish with lime zest & enjoy. Add coconut, maple syrup and spices into chia pudding base and mix well. Divide half of this mixture evenly between 2 jars. Layer diced mango on top of pudding layer and alternate layers until jars are filled, ending with fresh diced mango. Garnish with extra shredded coconut & enjoy. Be sure to tag @allergylicious so I don’t miss it and please comment below with your feedback. You can also stay in touch with me on Instagram, Facebook, Twitter and Pinterest for all of the latest updates. I love reading about alternative breakfast options! I have a texture issue with whole chia that has been soaking for some reason. I usually have to blend it. Think that would work with this, as well!? Hi Jennifer, yes blending will work. 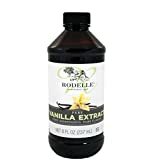 It will change the texture a bit, however all the amazing health benefits of this recopie will remain. I am a huge fan of chia seed pudding! Great idea adding the zest. Can’t wait to make it. 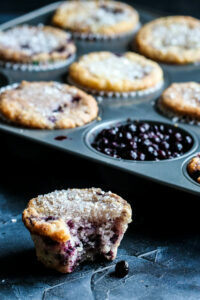 Thank you for sharing this recipe Nicole. Your photos are truly beautiful. This sounds so yummy! How long will it last in the refrigerator? I’d like to make enough for the week and just grab a jar each day. Mine lasted a week. I made the base with the flavor mix-ins but added the fruit only when I was ready to eat it. Then I didn’t have to worry about the fruit going bad and spoiling the pudding. Perfect treat for the kids (and me)! I have to try to mango coconut first…I need a bit of tropical in my life. I love chia pudding and these look scruptious!! I also love the use of Good Karma! Thanks Sarah! We are all loving Good Karma and I really love the extra boost of vegan protein it adds. I love the flavors here! Yum! I’m a sucker for tropical, fruity flavors for sure. Especially when its cold and dreary outside. 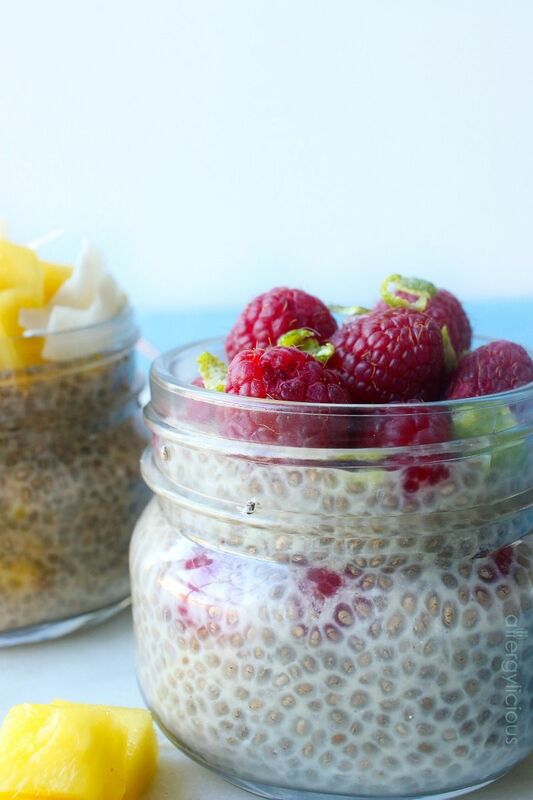 I love chia pudding – I alternate between that and oatmeal for most breakfasts… these both look good! sounds like a great book, thanks for sharing! That’s pretty much my breakfast as well, although I do love a good SunButter toast now and then. And it’s easy to understand too. I always love a good chia recipe! I actually enjoy “light” and weight loss recipes just because I’m small! People forget that the vertically challenged can’t eat such big portions! I find books like these offer me more options for enjoying multiple mini meals and never feeling completely stuffed. Going to check it out, thanks Nicole! Alisa, you are so right! Mini meals work great for me too. I just can’t sit down to a big plate several times a day. Hope you enjoy the cookbook, even if you don’t need the weight loss side of it, it’s loaded with deliciously healthy recipes.